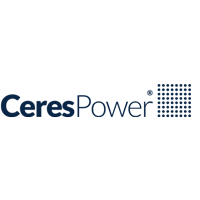 Ceres Power Plc (LON:CWR) has confirmed that the second tranche of the equity investment from Weichai Power (Weichai) is being made as planned for £28.0m. This takes Weichai’s equity holding up to 20% post a cumulative c. £48.0m investment. The second part of the investment has been triggered by Ceres and Weichai agreeing Joint Venture and License agreements as outlined at the time of the initial Joint Development Agreement (JDA) announced earlier in the year (16 May 2018). Alongside this, today’s JDA outlines the long-term commercial, strategic and financial relationship between the two companies, worth up to £9m to Ceres, and marking the end of a constructive year. The number of JDA OEM partners has increased to six with Weichai and Bosch announced, in line with management’s strategy, and both have made significant strategic equity investments. When combined with c.£20m from existing and new institutional equity investors, gross proceeds raised in the year will be more than £70.0m, leaving the business in a strong financial position. Forecasts are unchanged on today’s announcement, as the full Weichai investment had been accounted for at the time of the initial JDA announcement. Weichai relationship agreed and defined: Today’s announcement provides details on the finalised License and Joint Venture agreements that were needed for the second payment to be made by Weichai. In addition, a new JDA agreement worth £9.0m to Ceres has been announced following on from the initial one agreed in May. The new agreement accelerates the development of the 30kW SteelCell® SOFC to be used in electric buses running on compressed natural gas. The system will be developed and trialled over the next two years and on successful completion it will lead to the formation of a manufacturing JV in 2020. It will be owned 51%/49% in favour of Weichai with it holding three of the five Board seats with Ceres holding the remaining two. Little detail is provided on the details of the License Agreement except that Ceres will be paid up to £30m for the staged technology transfer (further detail of the strategic partnership with Weicahi can be found on pages 2-4, first published in May). 2018 a positive year: With the full investment from Weichai, Ceres will have raised over £70.0m to fund further development during FY19 and forecasts assume a net cash position of c. £66.0m at the end of the year. In addition to the strong commercial progress technical advances have been made. We leave our forecasts unchanged at this juncture, albeit we believe there is scope for upside over the shorter term and await further guidance on this.